A new article in the Journal of Clinical Oncology has further undermined the long-held belief that there was an inherently increased risk for prostate cancer among men who received treatment with testosterone replacement therapy (TRT) for low testosterone levels. The new paper by Loeb et al. is based on an analysis of data from the National Prostate Cancer Register of Sweden, including data from all the 38,000+ men in Sweden who were diagnosed with prostate cancer between 2009 and 2012 and comparable data from > 192,000 age-matched “control” patients who were free of prostate cancer over the same time frame. 38,570 men in Sweden were diagnosed with prostate cancer between 2009 and 2012. 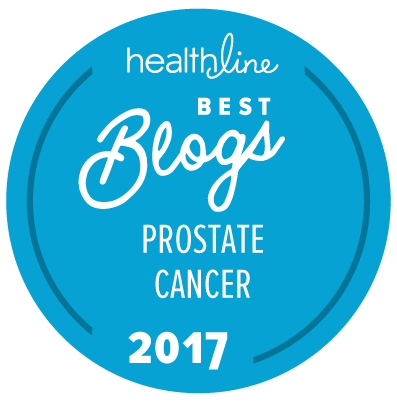 Data from these patients were compared to data from 192,838 age-matched men who were free of prostate cancer. There was no association between treatment with TRT and overall risk for prostate cancer (odds ratio [OR] = 1.03. The increase in risk for favorable-risk prostate cancer could be observed within the first year of TRT (OR = 1.61). The reduction in risk for aggressive prostate cancer was observed after > 1 year of TRT (OR = 0.44). After adjusting for previous biopsy findings as an indicator of diagnostic activity, TRT remained significantly associated with more favorable-risk prostate cancer and lower risk of aggressive prostate cancer. The early increase in favorable-risk prostate cancer among patients who received TRT suggests a detection bias, whereas the decrease in risk of aggressive prostate cancer is a novel finding that warrants further investigation. It is important to appreciate that a study like this doesn’t “prove” that there is no association between TRT and risk for clinically significant prostate cancer. However, as indicated above, it does add to the accumulating evidence that TRT is probably not a major risk factor for clinically significant prostate cancer for the majority of men who were previously undiagnosed. Note that this paper provides no information about the risks associated with the use of TRT in men who have previously been diagnosed and treated for prostate cancer, which is a different situation entirely. I will ask about this when I see the urologist. I will read the whole paper first. I have low T from 3 years on ADT between 2009 and 2012. The T density has not increased very much. The urologist advised against TRT last February 20, so as not to risk recurrence. But fatigue and weight gain are no fun. On the other hand the urologist told me than that he would like to declare me “cured”, but that he of course could not say that in my high-risk case. He explained why recurrence after a heavy treatment in 2009 is unlikely, and why its risk decreases constantly with time. I knew that, but it was pleasant to hear it from one whom I like and trust. The whole shebang took me 8 years. It was, of course, worth it, as I most likely would have died in Amsterdam, had I accepted “treatment” there. Finding a doctor who will treat me with testosterone for my post prostate cancer is very difficult. My urologist refuses to do so as well as my internal medicine doctor. They were taught that doing so increases the chance of cancer. It behoves me that they have not kept up with the increasing data that shows the myth that testosterone increase the risk of cancer. My prior doctor, who did not believe this, retired and now I have many of the complications of low testosterone including dementia, complications with my cardiovascular condition (I had open heart surgery in 2001 and did not have any complications with cardiovascular conditions until after my prostate cancer), lack of energy, lack of affection, general bad feeling, and being lethargic. These doctors have failed to treat my health needs and the needs other men who they see with this condition. I may mention that I had prostate surgery about 4-5 years ago. I wrote the medical doctor’s association and urology association where my doctors practice and they failed to answer my request. I would suggest to you that the simplest answer would be to find a different urologist and get a second opinion from him or her. The question of who is and who isn’t a good candidate for treatment with testosterone supplementation after treatment for localized prostate cancer is still somewhat controversial. Randy, may I suggest finding a urologist who also specializes in andrology, or just find an andrologist. That’s what I did. There are many out there that have taken their heads out of the medieval text books and have a grip on current science! I wish you all the luck. Don’t give up! I am trying to understand how increasing testosterone levels is beneficial to a patient who has progressive or metastatic disease. In light of the usual goal of reducing testosterone to castrate levels (other than in the BAT trial), TRT in this context is counter intuitive. Or is this a pure length of life vs. quality of life analysis. My reference is to a study I read this morning. This is a long-standing debate about which no one has an answer that is truly meaningful. It is highly likely that there are issues involved that are highly individualized to specific categories of patient. It has been clear for some time that testosterone supplements can be given safely to some men with advanced disease and that others will have seriously poor consequences. I certainly don’t have an answer to your questions and I don’t believe anyone else does either.